Italy, the country of dreams; the country of love; the country of countless stories! There is so much I love about Italy that I would have to write a book, not just a blog post, in order to list it all. There is so much to see in this amazing country, so many spots to leave your footprints in. 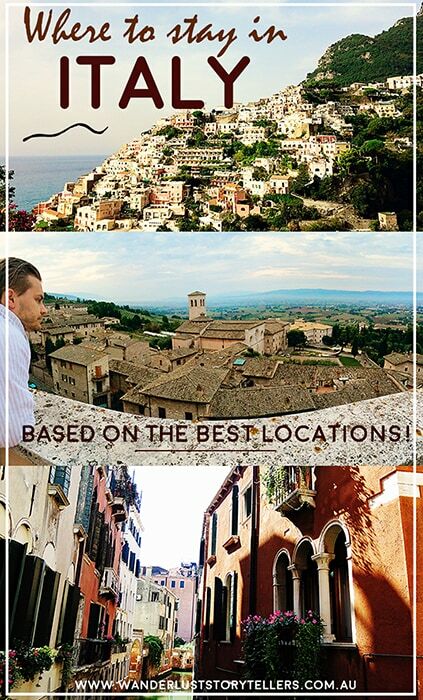 Finding luxurious places to stay in Italy that are in a close proximity to the sights would be greatly advised! And that is exactly what we did on our travels through Italy. Location, location, location! In today's post I would like you to take a look at our favourite places to stay in Italy. 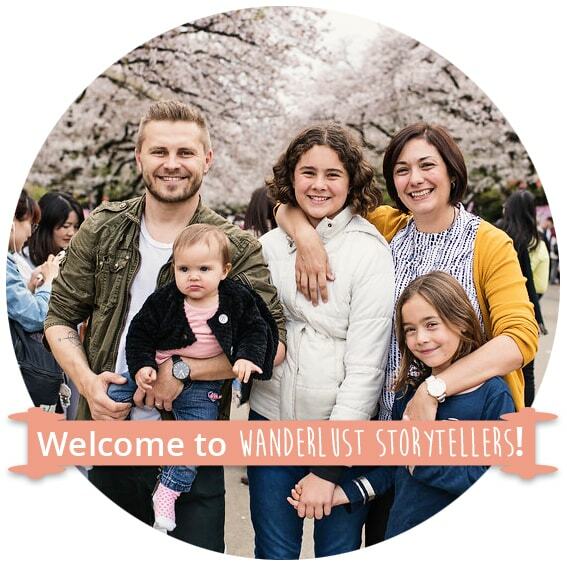 These are some of the most amazing places we had the pleasure of staying at ourselves and we would like you to share them with you! These places are very luxurious, affordable, close to all the main attractions and super cool! Check it out! Ps: Click here for our Top Tips and Recommendations for your Trip to Italy. 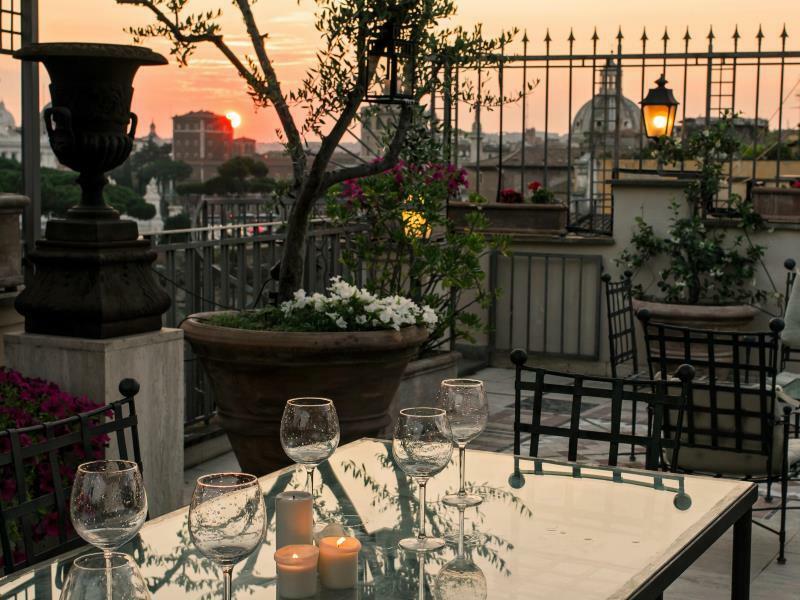 Made in Rome has to be one of the best places to stay in Rome, Italy. We had the pleasure of staying in this perfect Bed and Breakfast on our honeymoon trip. This place is as luxurious as B&B's get! The hosts were incredible and really friendly. 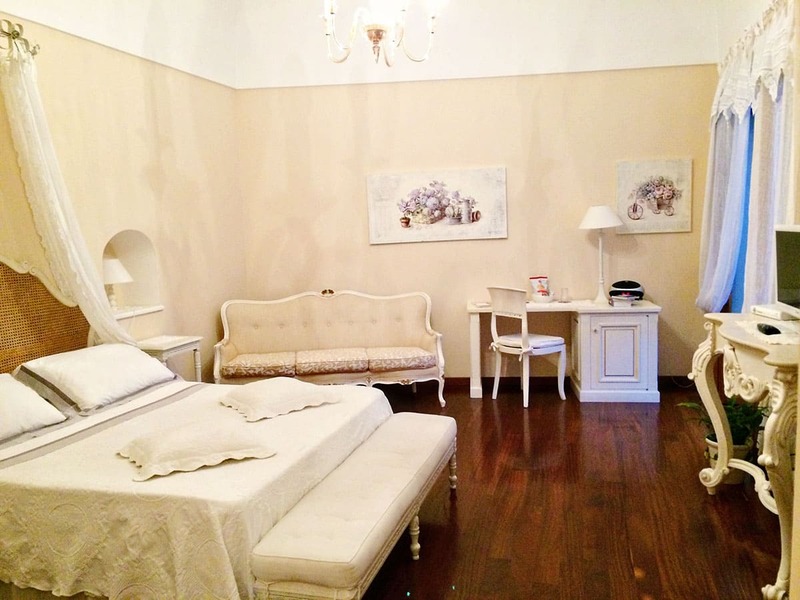 We chose one of their cheaper rooms (Rione Monti) as we knew we wouldn’t be spending much time in the room anyway. The location is perfect, only few minutes from the amazing Colosseum. We cannot recommend Made in Rome highly enough! So much cheaper than hotels of similar style too! If you are after a bit of luxury and style, this will be your choice for sure. The rooms are super cozy and modern. You could also have a choice of views from your balcony (should you grab one of those rooms). Perfectly located in close proximity to all that the Rome has to offer, including Colosseum, Roman Forum and close to the Colosseo Metro Station. Read the reviews on TripAdvisor here. This luxurious, beautiful and elegant hotel is located right on the doorstep of the famous Pantheon. This has to be the best location ever! 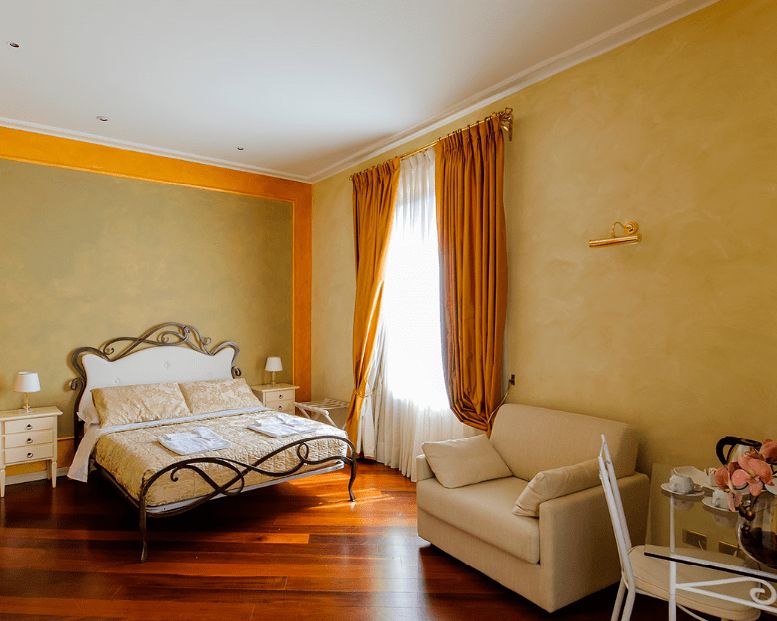 The rooms have a classic Roman decor with fancy antique touch of furniture and wall paper. The view from the window is directly on to the Piazza della Rotonda and the Pantheon. Did I mention that my favourite pizza place is just below the hotel, on the corner? Within only a short walk to the left in to the alley, you will find a small gelateria that boasts over 150 different flavors of gelato. Yumm! Read the reviews on TripAdvisor here. 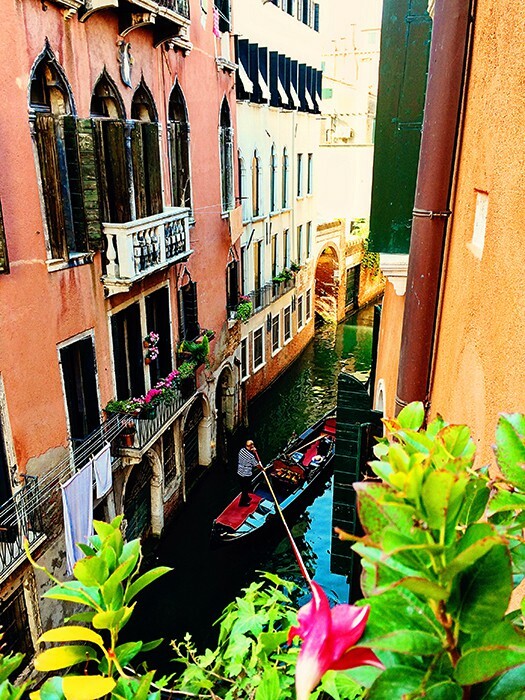 We booked the room with a balcony over a typical Venetian canal. And the view from our room was just superb. To stay in a hotel with a view over one of these little canals has always been a dream of ours. Little balcony from the super cool Venetian decorated private room. What else do you need? I loved staring at the rustic buildings across the way, loved staring down at the gondolas passing by on the canal way down below. Read our review of this hotel here. We loved Ca'Bonvicini's style, its' unique decor with a little bit of luxury truly makes this small Venetian boutique hotel a special place! Have you ever stayed in a 16th century palace? 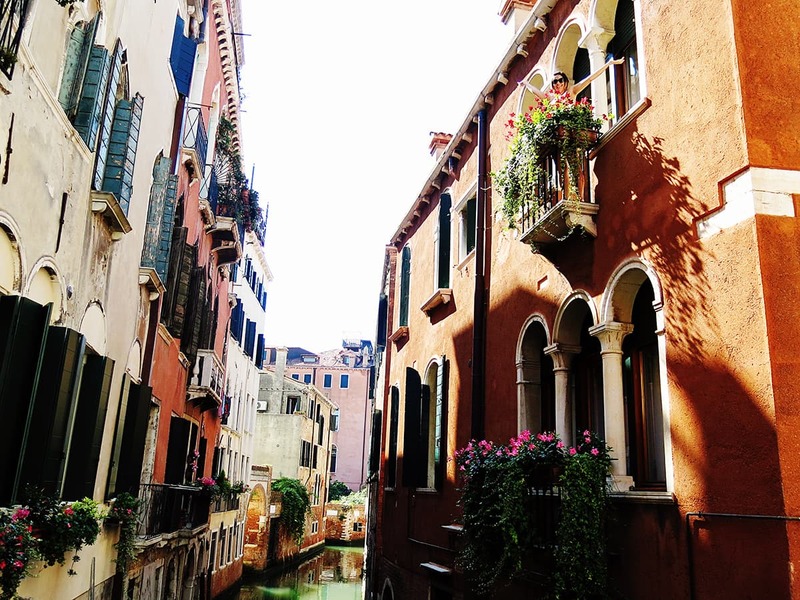 This hotel is a proper up market, luxurious and super stylish place to stay in whilst in Venice. The rooms are gorgeous, some of them are modern with a touch of classic and some have beautifully painted ceilings with chandeliers illuminating the place. Enticed yet? I know I am. Read the reviews on TripAdvisor here. Also located on the grand canal, this hotel has a little more of a boutique style, but with a truly cozy feel to it. Classic Venetian decor with bold coloured wallpaper and antique looking furniture. Some of the rooms are presented in a more modern feel as well. This hotel is about 1.6km walk from the Rialto Bridge and is conveniently located 10 minutes walk from San Toma Waterbus Station. Read the reviews on TripAdvisor here. 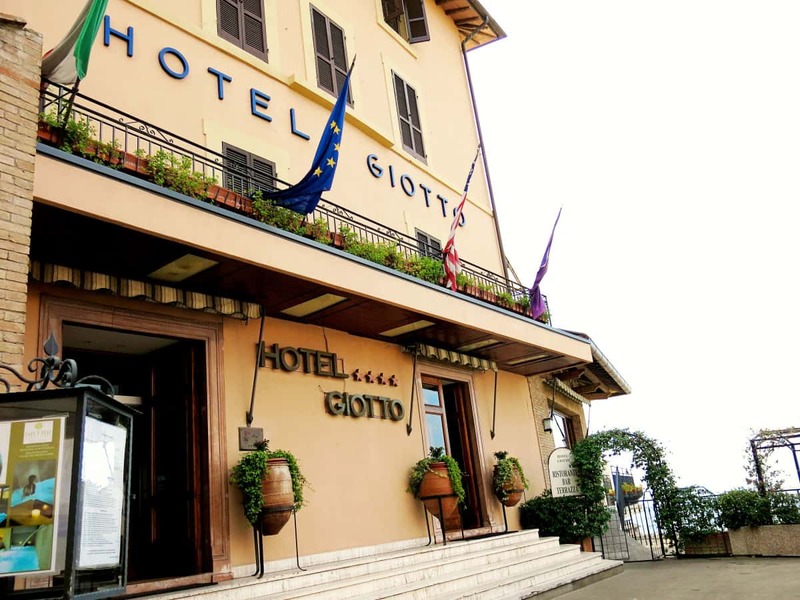 We stayed at Giotto Hotel and Spa in Assisi. We enjoyed watching the sun rise in our guest bath robes. And loved the special touches found around the grounds of the hotel. We can highly recommend this gorgeous gem of a place! Read our blog post about Assisi and this hotel here. 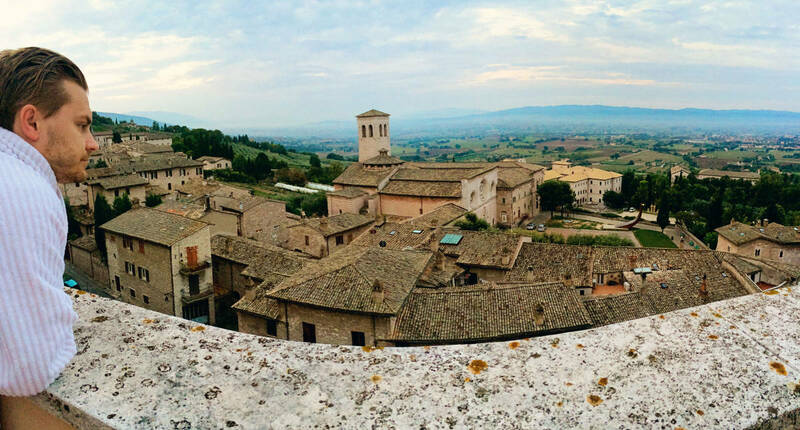 This hotel is also located a short walk from the famous Assisi Cathedral. This hotel has a restaurant with tables overlooking the beautiful views over the valley below the mountain Assisi is built on. It is a truly spectacular location to stay at. The rooms are tidy, clean and modern. There is also a babysitting service available here which could come in handy. Read the reviews on TripAdvisor here. If you are looking for luxury, colour, beauty and style, then look no further. This is your place to stay! Beautiful paintings on the walls; warm and inviting atmosphere; it is all here. The hotel has a sizeable pool to relax in or do laps in together with a selection of large bedrooms to unwind at. There is a Jacuzzi, sauna and massage rooms to spoil yourself at, and why not head to the rooftop terrace to chill out with the setting sun. You will find everything you need and want here. Not to mention the multilingual friendly staff together with a free shuttle bus to take you places. Well, if you want style? This is your place for sure! Read the reviews on TripAdvisor here! When you are looking for where to stay in the Amalfi Coast, we have the perfect place for you. Positano is one of the most special places to stay in Italy. To us, this is the most gorgeous, luxurious little B&B! Situated in the most picturesque of all towns on the Amalfi Coast. We were in 7th heaven staying in our beautiful suite (Room Diana) on our honeymoon. Read our review of this B&B here. This one is for everyone who wishes to combine luxury, leisure, pleasure and much much more. 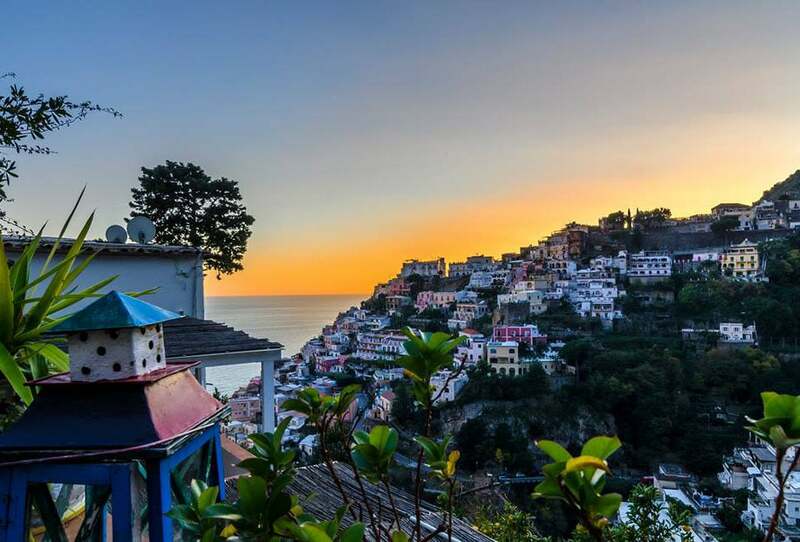 You will find yourself gazing onto the beauty of Positano in its all glory. Comfortable and modern rooms will provide good sleep for sure. 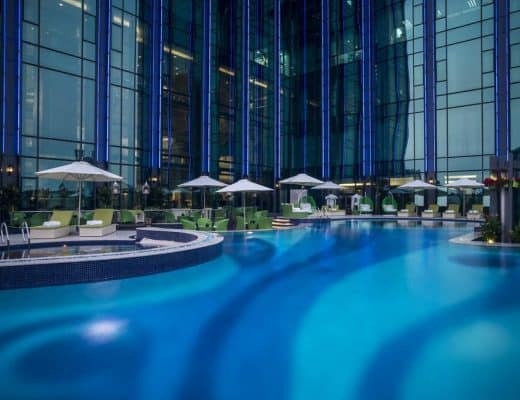 There is a pool, rooftop terrace and a fitness centre. There is a Turkish steam bath, which sounds quite inviting to me right now! You will also find a childminding services available here. Well, this one has got it all! Read the reviews on TripAdvisor here. Super charming hotel with spectacular views over the sea, cascading down the side of the mountain. The rooms are spacious, comfortable and features colourfully-decorated Italian style tile flooring. Very cool! There is a cafe with yummy goodies and a comfy lounge to unwind at. Some people say, it is a perfect honeymoon hotel to stay as well. Read the reviews on TripAdvisor here. 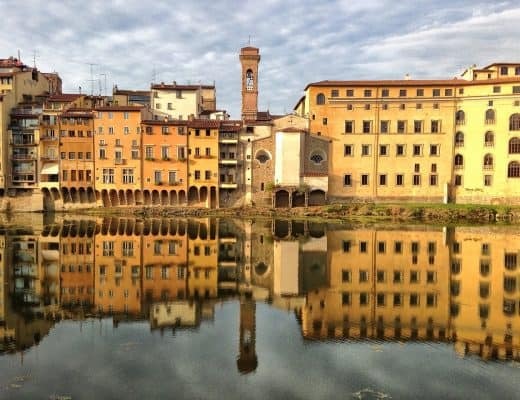 Whether you are searching for best places to stay in Italy or cheap places to stay in Italy, there will be a magnitude of choices. We have spent countless hours searching for these luxurious hotels or B&B spots and I hope that you will find those on our list to your liking. These are our special places to stay in Italy and I know that they will be yours too. Watch our Amalfi Coast Video! Make sure you go and visit the City of the Dead! 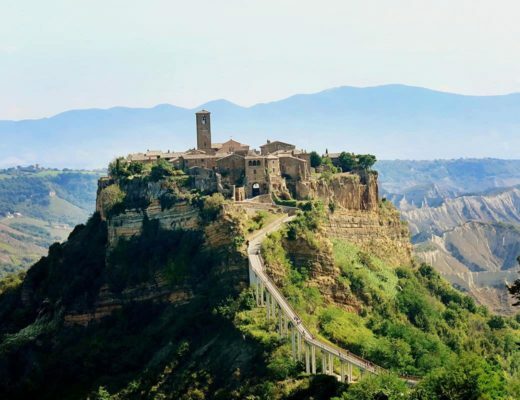 Which Italy destinations are you going to visit? 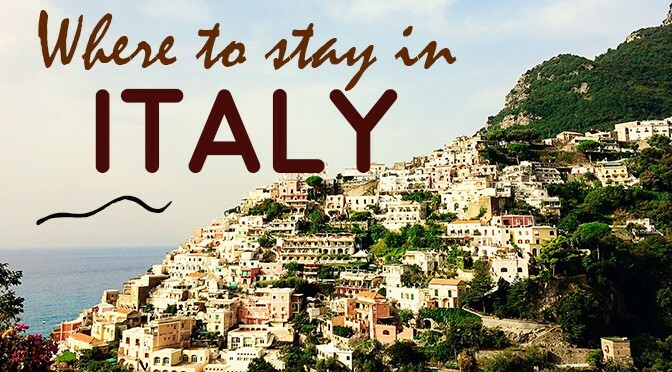 Which place from our list will you put on your list of where to stay in Italy? Lovely recommendations! I loved Rome but I’m not sure the hostel I stayed in stacks up to the hotel you recommend. I’ll keep this in mind for next time I get to Italy! Great! Honestly the place we stayed in wasn’t that expensive, and the location just a street away – right in front of the Roman Forum was truly just magical! !